Funeral, wedding, event where you want an Austin Tesla Caravan 6 of Tesla Sedans. Have a stress-free wedding with our white Tesla sedans for wedding getaway cars enjoy the luxury of the white leather interior and the brand new white Tesla sedan. Our wedding car will take you anywhere in Austin you want to go. Have more than 10 people to transport, then our Tesla caravan will be perfect. 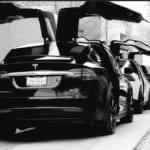 Book a group of Tesla sedans when you and your friends are looking to bar hop with your guy friends at the bachelor party. Arrive all together with our Tesla Caravan group of 6 cars for better price and nicer quality. Go out to the bars for your Bachelorette Party in our Tesla Caravan of 6. Transport all the girls at once with a group of 6 Tesla sedans at an affordable rate. Have a group of executives arriving in town for meetings? 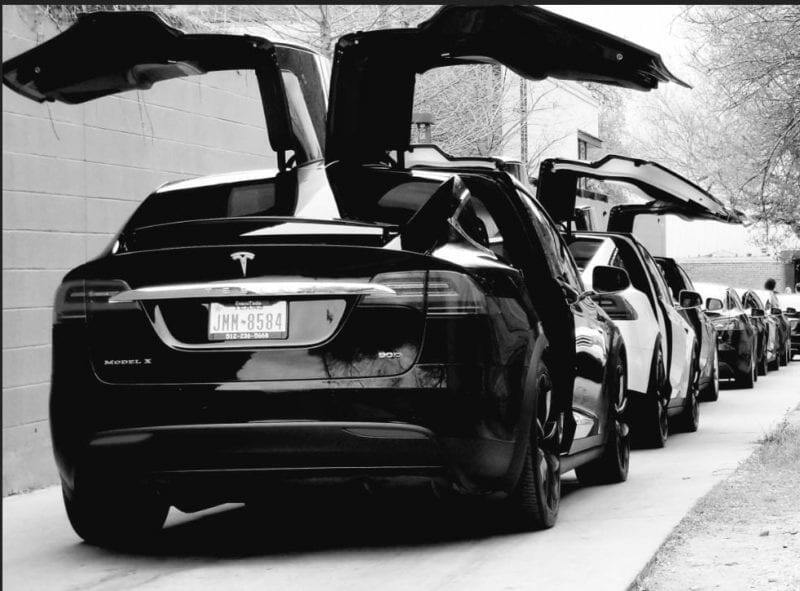 Use our Black Car Service and transport all at once privately in style with our Caravan of Tesla Sedans. Have any brewery tours coming up? We offer 6 Tesla sedans for an affordable price. Get a caravan of Tesla cars for a great price. 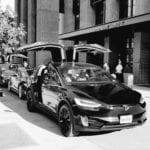 The Funeral Transportation Service is perfect with our Tesla Caravan of sedans fitting up to 24 passengers. Transport Non-Medical up to 24 passengers at once with our sedan caravan service. Wedding Transportation Service perfect for up to 24 passengers. Our Tesla Caravan Service is our most popular for shuttling guests from different locations because of the size limit to many venues. Go out to the Hill Country in our black Tesla caravan of 6. Seat up to 24 passengers and travel in style in our brand new Tesla car transportation service. Tesla Transportation, Bergstrom Airport Limo, Bachelor, Bachelorette, Brewery Tour, Concert, Wedding, wedding service, wedding getaway car.